I have continued piffing up my daughters notebooks. 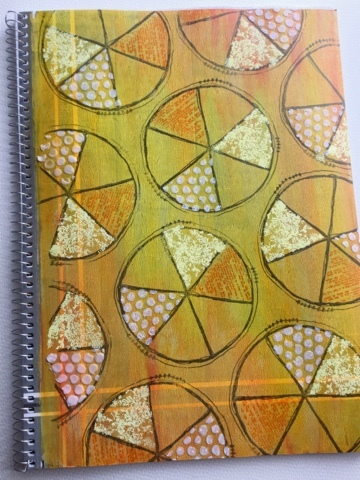 These are A4 size (originally dull grey) and I've used acrylic paints, stamps and heavy gloss gel to decorate them... playing with the Paperartsy patterns-challenge. The stenciled gloss gel gives a subtle shine and texture that depends on where the light come from. 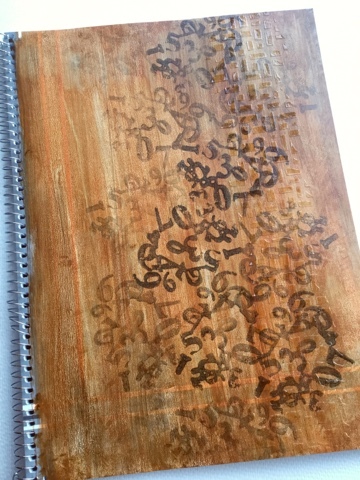 I really like this brown one, that obviously became a math notebook (wonder why?) That stamp from the Paperartsy Everything Art -series is just awesome. 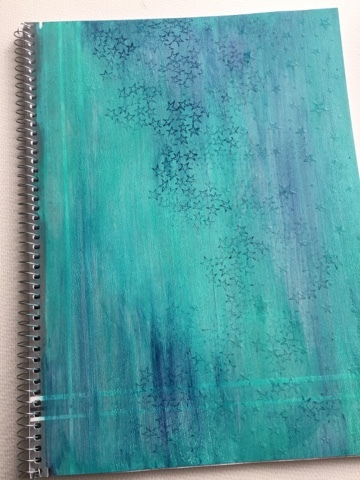 Also the blue notebook turned out the way I wanted... Well, the gloss gel stars looked gorgeous in milky white before they dried, pity I didn't use molding paste instead!